Welcome, here you will find resort information for all 4 Grand Palladium Riviera Maya resorts; Kantenah, Colonial, White Sand, TRS Yucatan.  You will see additional information such as weather including a full current forecast located in the links. If you don’t see what you are looking for, pop over to the forum and ask away. We hope you enjoy your visit ! Designed by renowned architects, the resorts were virtually carved into a vast jungle setting. Great care was taken to integrate the buildings into a natural tropical environment while respecting the flora and fauna. This has resulted in an ecologically friendly resort in a natural environment with preserved tropical vegetation, beautifully manicured gardens and a variety of animals indigenous to the area. The hotel employs a team of biologists who are responsible for maintaining the eco-system and the well being of the animals and vegetation. 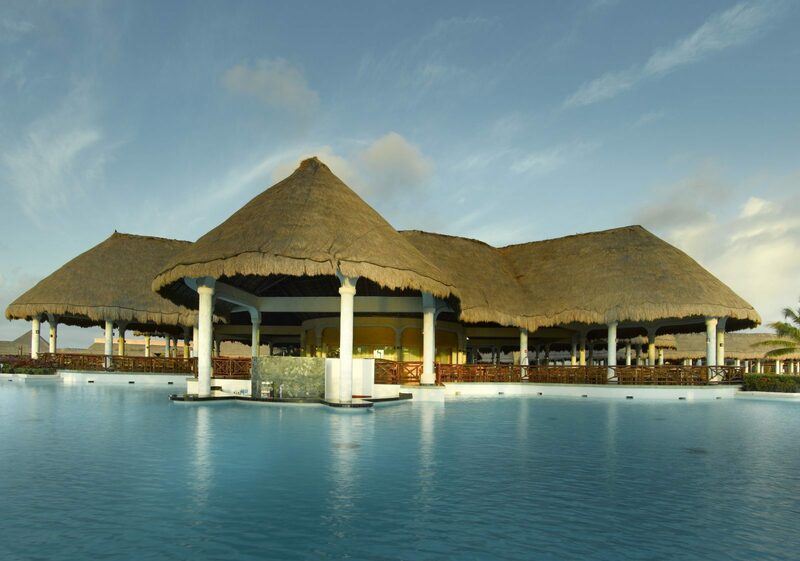 The Grand Palladium Riviera Maya complex consists of four 5-star hotels on the Riviera Maya with direct access to Kantenah beach, modern facilities and the room of your dreams. All hotels have access to the facilities, comprising 9 themed restaurants, 5 buffet restaurants, 25 bars, 9 swimming-pools, a magnificent Spa, sports facilities, events and conference rooms, disco, Baby Club (1 to 3 years), Palladium Mini Club (4 to 12 years), Black & White Junior Club (13 to 19 years), the best services from the Palladium Hotel Group and much more. The Grand Palladium Kantenah Resort & Spa in the Mayan style, consists of 252 standard rooms, 132 junior suites, 32 Mayan suites and 6 suites. It is surrounded by nature and has direct access to the 800-metre beach for fun and relaxation in a special spot. Take a nice stroll around the environmentally friendly green paths that have been carefully paved out and enjoy the impeccably kept gardens. Relax in our modern and spacious rooms, pamper yourself at the state-of-the-art Resort Spa, practice snorkeling in our crystal-clear waters, share a delicious dinner or enjoy a new cocktail at any of our numerous bars located around the complex like the Hemingway that includes international “Premium” Beverages. At the Grand Palladium Resorts in the Mayan Riviera, the options for entertainment or relaxation are endless, no matter how old you are. Guests staying at the Grand Palladium Kantenah will enjoy access to the Grand Palladium Colonial and White Sand resorts. 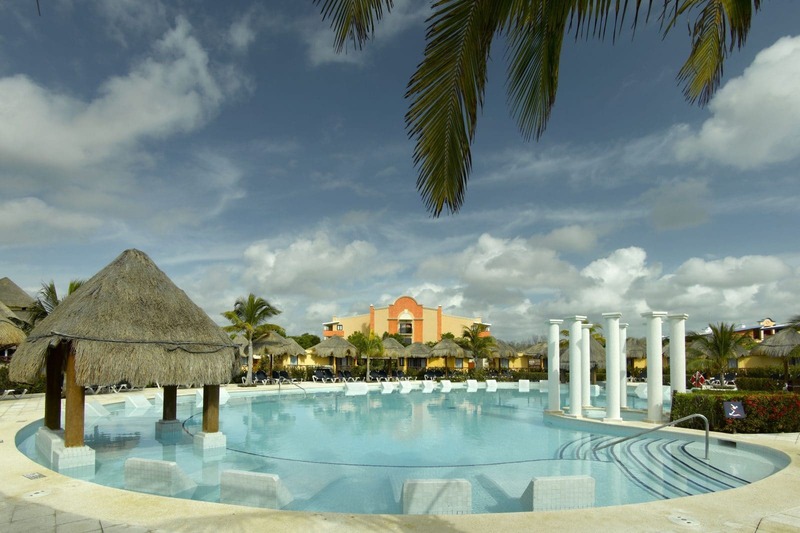 Grand Palladium Colonial Resort & Spa is one of the four hotels making up the Palladium Riviera Maya complex. This Spanish colonial style hotel has 252 standard rooms, 132 junior suites, 24 Maya suites and 6 suites. It is ideal for holidays with your partner, friends and family. The Grand Palladium Colonial Resort and Spa gets its name from its detailed decoration in the Spanish colonial style and it is fully integrated in the green surroundings of the eco-resort: green paths that lead you to any part of the complex, to the beach or simply take you for a walk among the fauna and flora typical of the Riviera Maya where there is always something new to discover. This environment, together with the different types of modern, spacious rooms, makes the Grand Palladium Colonial Resort and Spa a hotel to be enjoyed as a couple, with family or with friends. The Grand Palladium Colonial Resort & Spa therefore has a wide range of services on offer for all types of travellers. Guests staying at the Grand Palladium Colonial will enjoy access to the Grand Palladium Kantenah and White Sand Resorts. As well as having access to all facilities offered for guests who are staying in any of the Grand Palladium hotels in the Complex, all connected via a free internal train service, guests who stay at the Palladium Colonial Resort & Spa have the adult swimming pool, the sports centre, the main pool close to the beach, and the bars like the Hemingway that includes international “Premium” Beverages and restaurants very close to their room, amongst other services and activities. Grand Palladium White Sand Resort & Spa is the perfect place to relax and to enjoy the nearby La Isla exclusive swimming pool for adults. It consists of 210 junior suites, 12 Mayan suites and 42 suites. The Grand Palladium White Sand Resort & Spa, which takes its name from its location in front of the extensive private beach covered in white sand, is also in an ideal location, which makes it a marvellous option for those guests who are looking for relaxation and tranquillity on their holidays. It is located near the Zentropia Spa, the spa available for all guests of the Grand Palladium Riviera Maya Complex and it is also near “La Isla”, the pool exclusively for adults. This is why the Grand Palladium White Sand Resort and Spa is the best alternative for guests who are looking for a hotel with spa in Riviera Maya. Furthermore, all sports and relaxation facilities, the beach, pools, restaurants and bars like the Hemingway that includes international “Premium” Beverages, are always close at hand thanks to the shuttle train, which can take you to any part of the Complex. 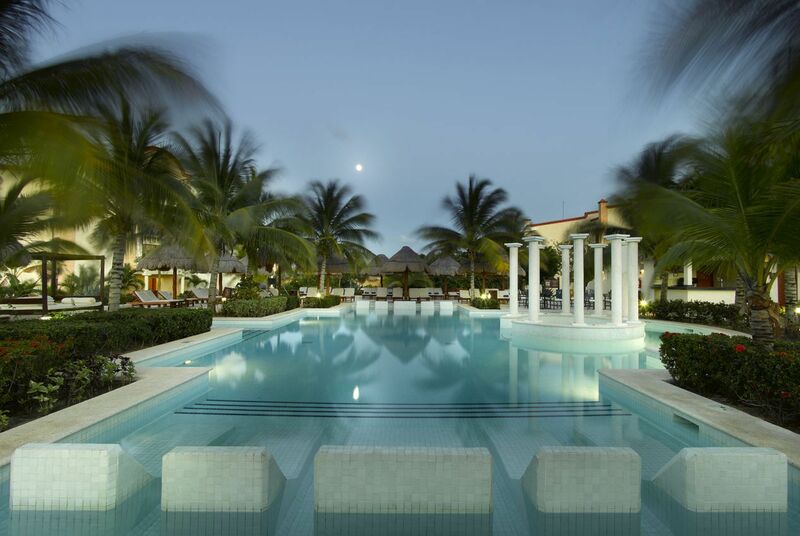 The Grand Palladium White Sand Resort & Spa is located in one of the best areas of the Riviera Maya. In Akumal, between Tulum and Playa del Carmen, and facing the Caribbean which adjoins its almost 1 km of private beach and its mangrove forest. 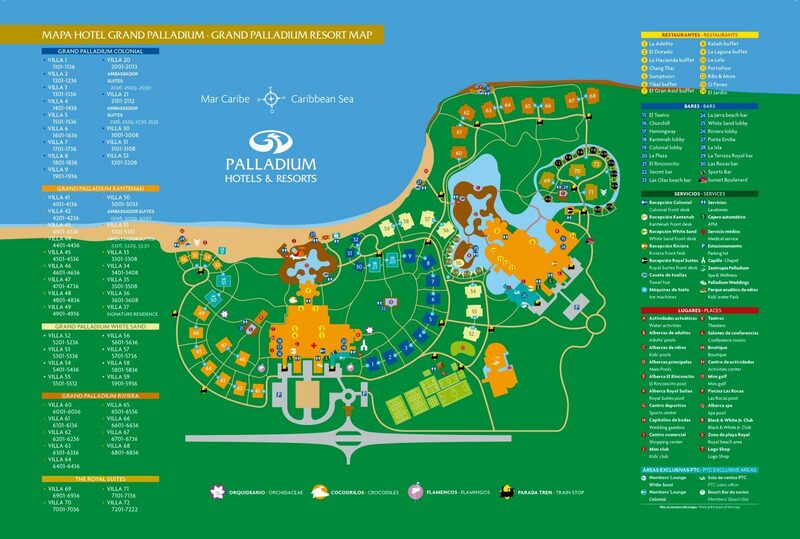 A unique setting which, together with the strict requirements regarding environmental protection at Palladium, convert the Grand Palladium White Sand Resort & Spa and the entire Palladium Riviera Maya Complex into one of the most representative resorts of the Riviera Maya and the Mexican Caribbean. Guests staying at the Grand Palladium White Sand will enjoy access to the Grand Palladium Colonial and Kantenah Resorts. TRS Yucatán is an exclusive hotel forming part of the Palladium complex on the Riviera Maya and consists of 454 newly renovated suites, 108 of which are swim up rooms, a completely new beach experience featuring an adults-only Beach Club, 4 exclusive a la carte themed restaurants, a “Dinner and a Show” buffet restaurant that will host different types of shows, and a new Infinity Pool. Providing you with the greatest luxury and exclusivity for adults only. The Royal Suites Yucatan Hotel offer the facilities and services that will make your stay an unforgettable experience: personal and exclusive treatment, 24hrs private reception, check-in from 3:00pm, check-out by 12:00pm, fax and telephone service, lounge in the reception area offering free international digital and printed press, coffee, snacks, international and premium drinks, wake-up service, laundry service, luggage room, currency exchange, newspapers, outdoor parking, shuttle train connecting all 4 Resorts, ATM machine, ice machine, games room, reading lounge, 2 covered theatre, beauty salon, handcrafts market*, doctor in hotel*, shopping center*, Internet café*, supermarket*, photo shop*, boutique*, souvenir shop*, crafts shop*, tobacco shop*, bookstore*, jewelry shop*, clothing store*, Catholic mass at the GP Colonial Sundays. Exclusive Services at The Royal Suites Yucatan :By combining the 4 hotels located in the Grand Palladium Riviera Maya complex, guests staying at The Royal Suites Yucatan by Palladium can enjoy the facilities and personalized services of this intimate adults-only resort featuring 454 suites and also private and exclusive check-in, personalized service, swimming pool with Jacuzzi, pool and lobby bar with a selection of international and premium drinks. Free Internet. Unlimited dining at our “a la carte” restaurants with the option to make reservations. Transportation around the resort complex upon request. Mini-bar with beverages and snacks refilled daily. Daily news delivery if requested in advance. Turndown service, exclusive signature restaurants for Royal guests, select Travel Club Members and VIP guests. The restaurants Capricho, El Gaucho, La Bohème, Cabaret Dinner and Helios Beach Club offer personalized service, for breakfast. lunch and dinner. (See hours of operataion on our F&B page) . Exclusive beach area with waiter service and Balinese beds, butler service, bottles of liquor in the room (vodka, rum, whiskey and tequila) refilled every 7 days (wine cellar $). 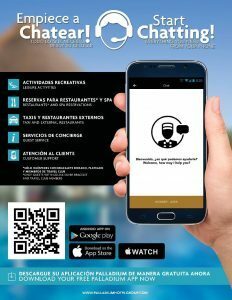 Free WiFi access for guests staying at The Royal Suites Yucatan Hotel. 270 Royal Junior suite, 45 Royal Suite, 22 Royal Mayan Suite, 90 Royal Jr. Suite Private Pool, 18 Royal Suite Private Pool, 9 Royal Master Suite. 1 Buffet-style restaurant, 4 a la carte restaurant and 3 Bars all for the exclusive use of guests staying at The Royal Suites Yucatan Hotel. 9 other a la carte theme restaurants with a great selection of cuisines. 5 Buffet-style restaurants and other open-air services. 22 Bars located around the complex. VIP beach area with Bali beds and waiter service. 2 Private pool with built-in jacuzzi and waiter service + 1 Seawater pool for the exclusive use of guests staying at The Royal Suites Yucatan Hotel. Shuttle golf cart service within the complex. Butler Services Management of your daily activities and appointments, advanced reservations at the restaurants, Spa, nearby golf course, water sports center, etc., DVD movies, booking of excursions and visits, arrange transportation within the complex, arrange taxi rides/transfers to any restaurant or leisure venue around the area (restaurants, golf course, etc. $ extra charge), provide office services assistance (fax, phone messages, etc. $). Other services with charges: scented bath preparation, aromatherapy, body oils, shoe shine, etc. Rooms Division Assistant Manager introduces you to the future of our new TRS Yucatan Hotel.  Sports Activities : Aerobics, water gymnastics, table tennis, basketball, volleyball, soccer, tennis, petanque, water polo, darts, archery, rifle shooting, mini golf, participation games, paddle tennis, shuffleboard and badminton. Water Sports Activities : Catamaran, Kayak, snorkeling, pedal boats, Wind-Surfing. No motorized activities included. WITH EXTRA CHARGE: Deep sea fishing, excursions and scuba diving courses. Entertainment/Daily Activities : on the beach and by the main pools and various night shows in the Grand Theater located at the Grand Palladium Colonial Resort & Spa and Grand Palladium Riviera Grand Resort and Spa. Shows for children in the theaters; Mini Disco for children. Shows Presented by the People of Palladium : You can find the show schedule on a bulletin board near the theaters. There is something for all ages to enjoy. For detailed list of on and off resort activities please refer to the “Activities & Highlights” page. For detailed information and pictures please check out our Palladium Kids page. 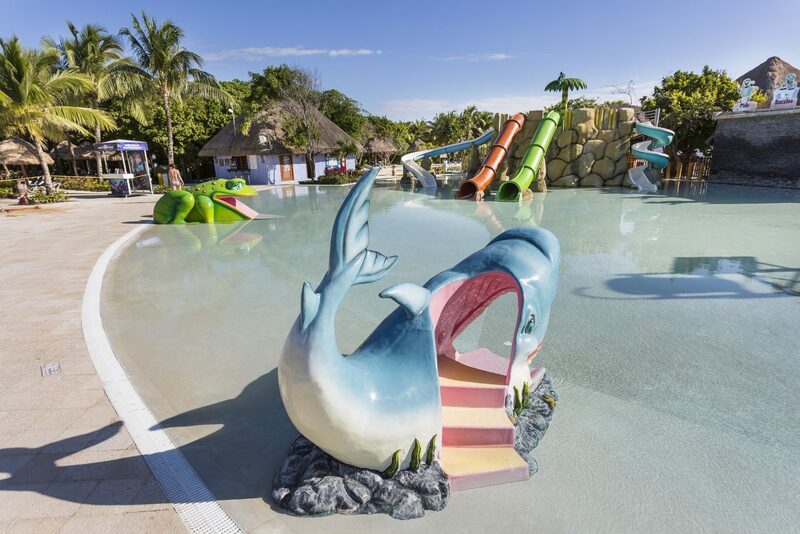 Children’s Water Park: Located in Grand Palladium Colonial Resort & Spa. Open from 9:00 am to 6:00 pm. 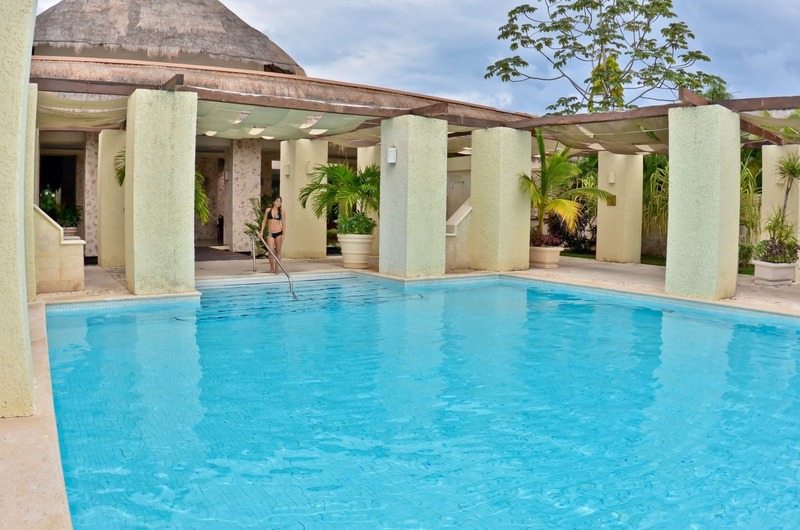 “El Secreto” Pool: Adults-only pool located in Grand Palladium Colonial with built-in Jacuzzi and open until midnight with bar service included. from 10:00am to 12:00am. “El Rinconcito” Pool. Located in Grand Palladium Kantenah along the mall, with built-in Jacuzzi and bar service from 10:00 to 6:00 pm. Heated during winter months. “La Isla” Pool: Adults-only pool located in Grand Palladium White Sands, with built-in Jacuzzi and open until midnight, bar service from 10:00am to 7:00pm. “Spa” Pool: Adults-only pool located within the Spa, 1.60 m deep. Open from 9:00am to 8:00pm. 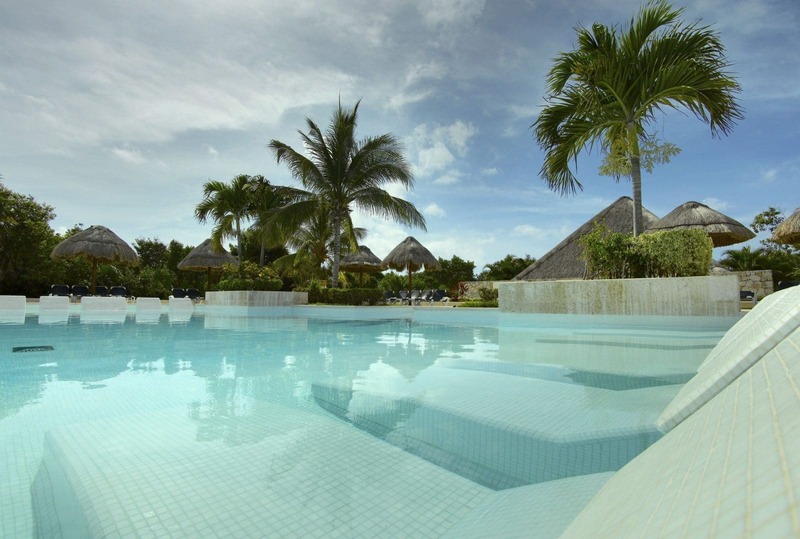 “Las Rocas” Pool: Saltwater pool, open from 10:00am to 6:00pm. 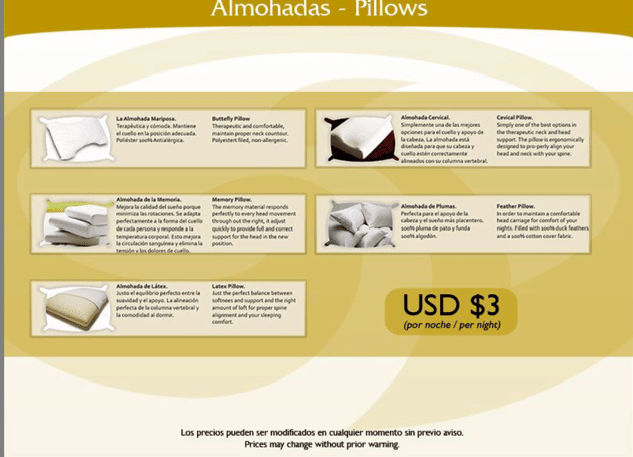 Exclusive for use of TRS Yucatan, select PTC members and VIP guests. TRS Pool: Adult pool for the exclusive use of guest staying at TRS Yucatan Hotel, select Travel Club and VIP guests. Heated during winter months. Helios Beach Club / Infinity Pool : Adults only. Bar service from 10:00am-06:00pm , open for swimming until 10 pm. 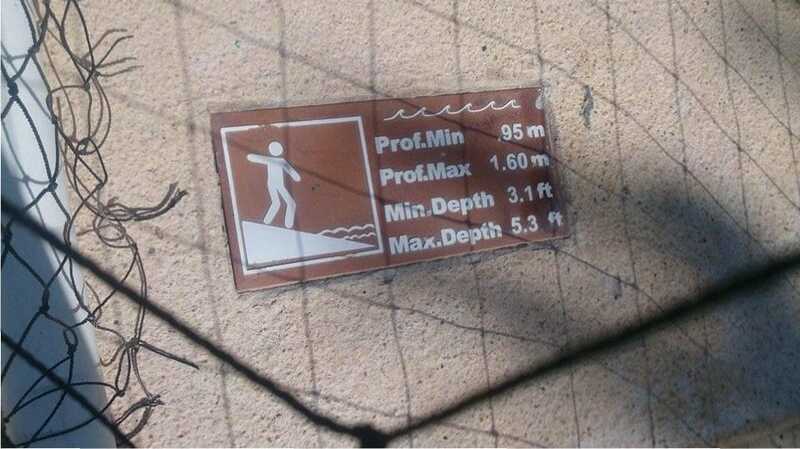 The pool is 140 cm deep. Located on the beach at T R S Yucatan. Towels, sunbeds and umbrellas service at the pool and beach included. 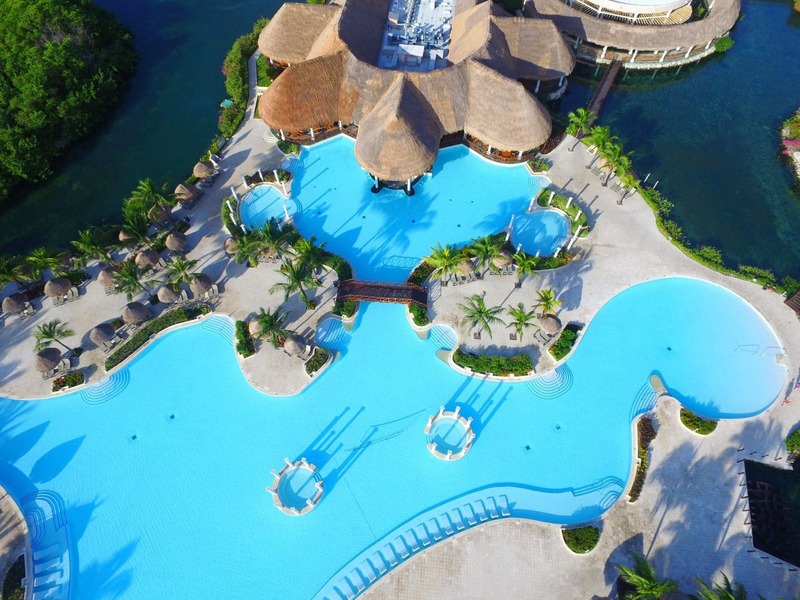 Guests can use all resort pools, except those located at TRS Yucatan which are for the exclusive use of guests staying there and select Travel Club members. There is wait service available at the main pools. (As of November 1st 2017 the cost of entry will change to $35 USD) $10 USD per person per day for access to the hydrotherapy facilities wet areas of Zentropia Spa and Wellness. Clients that purchase a spa treatment and Royal guests will not have to pay the $10 access fee on that day of treatment. The use of the gym and exercise rooms will remain free of charge for all registered hotel guests. For more information on services offered please refer to the Zentropia Spa Website. Visit www.palladiumweddings.com to inquire about the wedding package of your dreams. For a full list of the resort complexes contacts, please refer to the “contacts” page. If you have any questions about your upcoming trip please visit our FORUM. We are more than happy to answer any questions and help with your vacation planning.